Almost €60,000,000 was provided by the Department of the Environment over the past two years. 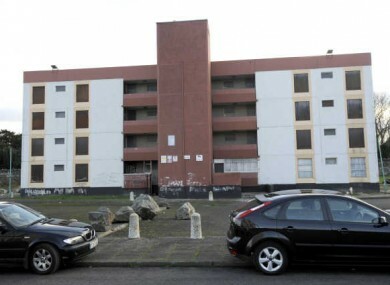 St. Michael's Estate in Inchicore, Dublin. OVER THE PAST two years over 5,000 social housing units have been returned to a lettable, energy efficient condition. The Minister for the Environment, Community and Local Authority, Alan Kelly, said 2,300 units were returned to productive use in 2014, with a further 2,700 in 2015. 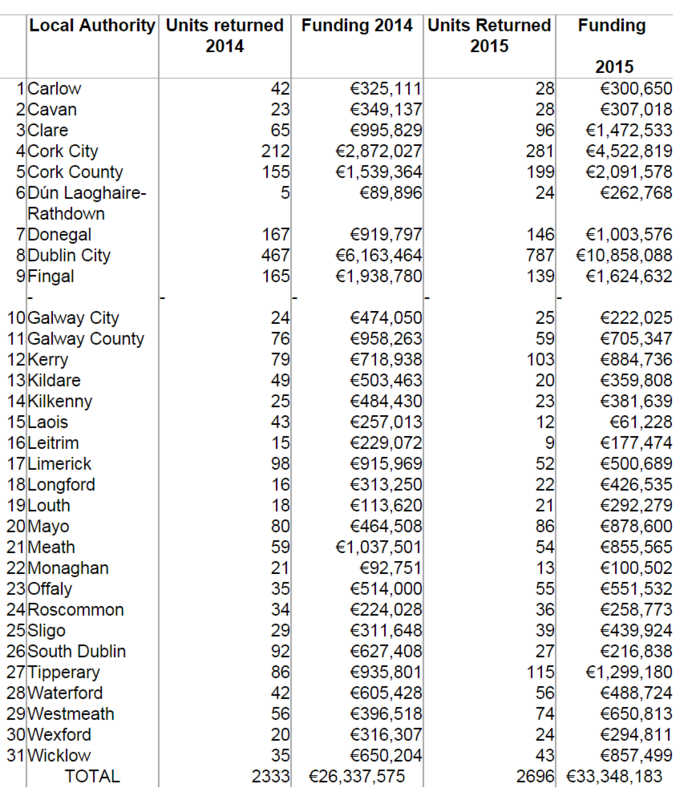 Dublin City had the most units returned in this time – 467 in 2014 and 787 last year. Meanwhile, Cork City was next in line with 212 in 2014 and 281 in 2015. Local authority Dún Laoghaire-Rathdown had the lowest number of units returned in 2014 with just five, while Leitrim had the lowest last year with nine units returned. Click here for a larger image of the table. The work was carried out under a target-driven and cost effective Voids Retrofitting Programme. Minister Kelly said that the objective of the programme is to return targeted vacant stock to a lettable, energy efficient condition at a reasonable cost. He added that this funding programme is additional to the routine turnaround of vacant social housing stock carried out by local authorities under their ongoing maintenance programmes from their own resources. Email “County by county: Number of social housing units returned to use and funding given out”. Feedback on “County by county: Number of social housing units returned to use and funding given out”.